Emissions Trading and Feed-In Tariffs: Do We Need Both? When I started this blog some 3.5 years ago, the focus was on climate issues, particularly climate economics. More recently, however, I have neglected this topic a little. Fortunately, working at a research institute gives one the opportunity to learn a lot about things other scientists do–e.g., regarding the quite popular question whether the EU needs both emissions reduction and renewable energy deployment targets such as the 20-20-20 target. In other words: do we need an energy mix consisting, e.g., of emissions trading and feed-in tariff schemes? Or is emissions trading enough to reach policy goals? And, by the way, what are these goals? The controversial coal power plant in Datteln, Germany. This leads us to the first and, in fact, decisive question: What are (should be) the goals of the climate/energy policy of the EU? Or, in other words, is it only mitigation of climate change, i.e., the reduction of greenhouse gas emissions? 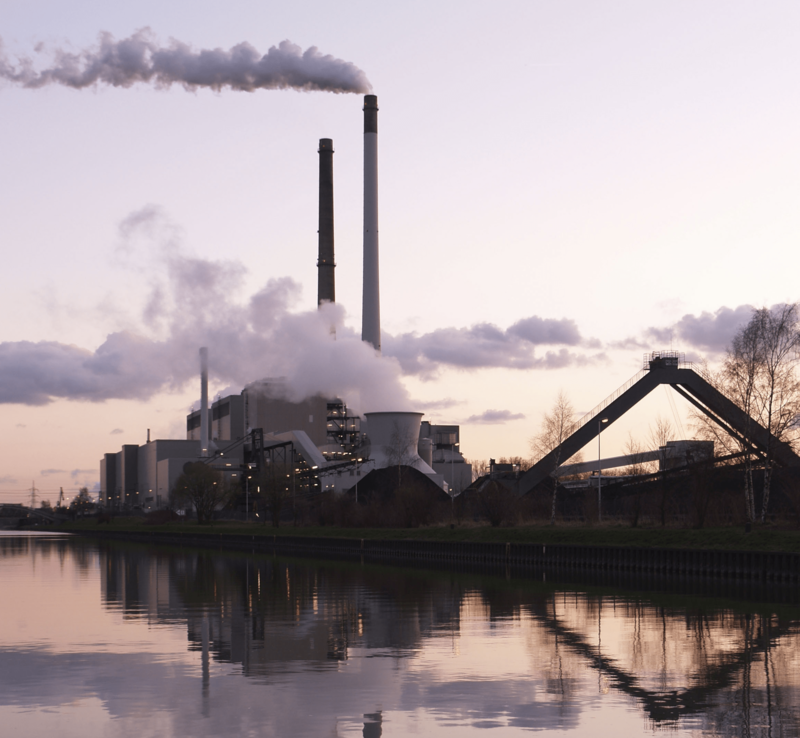 If yes, the EU’s emissions trading scheme (ETS) should actually be sufficient as instrument to achieve the goal and further instruments, such as feed-in tariff schemes, are likely inefficient (although there is some research suggesting that instruments such as feed-in tariffs may be sensible even when emissions reductions are the only goal, at least in the long-run, as they might strengthen innovation activities in some sectors, particularly photo-voltaics). However, as pointed out by my colleagues, energy policy is about more than just climate change mitigation. In fact, they distinguish two categories of sources of energy policy goals and related policy instruments: market failures and policy failures. First, the market failures. They are basically three: environmental externalities of energy generation, technology spill-overs and energy security issues. The former are a “classic”, but are nevertheless often being reduced to climate effects in the debate. But fossil fuel energy is the source of many more environmental externalities, ranging from damages resulting from mining, to non-carbon-emissions especially from coal power plants (including sulfur, mercury etc.) and nuclear waste. These externalities have to be tackled along with climate change mitigation, and there is no guarantee that the ETS can fulfil this role effectively and efficiently on its own. Then there is the related issue of technology spill-overs, a positive externality: since renewables are generally considered a “good thing”, meaning that innovations in this sector generate positive effects for the society as a whole, the level of investments in it without additional incentives (such as feed-in tariffs) is suboptimal. To move the level of both innovation and diffusion towards the social optimum, specific policy targets and instruments are needed on top of emissions reduction goals. Last but not least, renewable energies, with the exception of projects like the Desertec, are inherently local/regional. Meanwhile, fossil fuels such as coal or gas mostly have to be imported, often from politically unstable countries. Therefore, a switch towards renewable energies would likely increase the middle- to long-term security of energy supply. All in all, it should be clear that climate change is not the only consequence of a energy-related market failure, which means that instruments other than emissions trading should be considered and analyses of the current policy mix based on assessment of its performance with respect to the emissions reduction targets only are too narrow. Furthermore, on top of these market-failure induced externalities, there also are policy failures that have to be tackled. First of all, it might be argued that the ETS impact is too small to reach even the emissions reduction targets, not to mention the other goals mentioned in the previous paragraph. This has two reasons: first, only a limited number of firms is actually involved in the emissions trading scheme. The inclusion of every further branch of the economy is accompanied by a lot of political struggle, as exemplified by the attempts to include aviation. Second, the overall cap of the ETS is widely considered too low and thus quite ineffective right now. Here, too, the reason is political–more tight cap proposals are met with fierce opposition from both governments and industries. The other externalities of fossil fuel based energy systems might be tackled, e.g., by various forms of fiscal instruments: Pigovian taxes to address environmentally detrimental effects of fossil fuels, subsidies to foster innovation and diffusion of technologies in the renewables sector, tariffs to better control the supply of fossil fuels etc. However, none of these possible instruments is realistic. Environmental taxes are both politically unpopular and difficult to design properly. Subsidies schemes might be challenged by the European Commissioner for Competition. Tariffs are de facto impossible due to obligations within the WTO. All these are policy failures that effectively prohibit the use of first-best solutions to the problems of fossil fuel based energy systems. Therefore, other instruments and policy targets are needed–such as the renewables and energy efficiency targets of the 20-20-20 strategy and the feed-in tariffs as implemented in Germany. overall, there are so many uncertainties regarding these policies (including citizens’ and consumers’ preferences, technological change, international climate policy…) that, in the end, they are a matter of political decisions, not of allegedly “objective” cost-benefit analyses. To be successful, the energy policy mix should, of course, be consistent. In Germany, e.g., this is not the case today, since the too-low-cap of the EU ETS influences spot market prices in such a way that the cost of the German feed-in tariffs scheme appears very high, which has led to a fierce debate about the future of the German Renewable Energy Act. So, there is still much to do at the political level–but narrow-minded strategies such as the post-2020 proposal of the European Commission are counter-productive and threaten the crucial success of the transition of European energy systems. Instead of just cancelling targets or reducing them to mere symbols, one should think about how the policy mix might become more consistent and include further important dimensions, such as, e.g., distributional concerns. Paul Lehmann, Erik Gawel Why should support schemes for renewable electricity complement the EU emissions trading scheme?, Energy Policy 52, 2013. Paul Lehmann Supplementing an emissions tax by a feed-in tariff for renewable electricity to address learning spillovers, Energy Policy 61, 2013. Erik Gawel, Sebastian Strunz, Paul Lehmann A Public Choice View on the Climate and Energy Policy Mix in the EU: How do the Emissions Trading Scheme and Support for Renewable Energies Interact?, UFZ Discussion Papers, Department of Economics, 5/2013.